One of the most famous, the Okavango River is located in south-western Africa, passing through Republic of Namibia, Angola and Botswana. It is the fourth-longest river system in Southern Africa, running south-eastwards for about 1,600 km (990 miles). 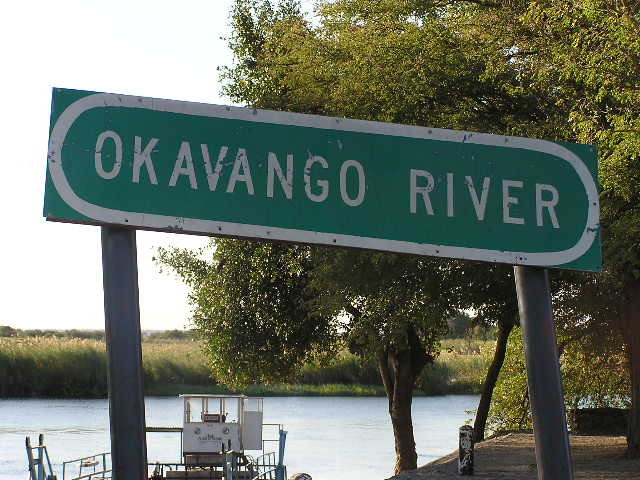 Okavango River begins in Angola, where it is known as the Cubango (Kubango) River. Further south it forms part of the border between Angola and Namibia, and later on flows into Botswana, draining into the Moremi Game Reserve. Before it enters Botswana, the river drops four meters, across the full 1.2 km-width of the river, in a series of rapids known as Popa Falls, visible when the river is low, as during the dry season. 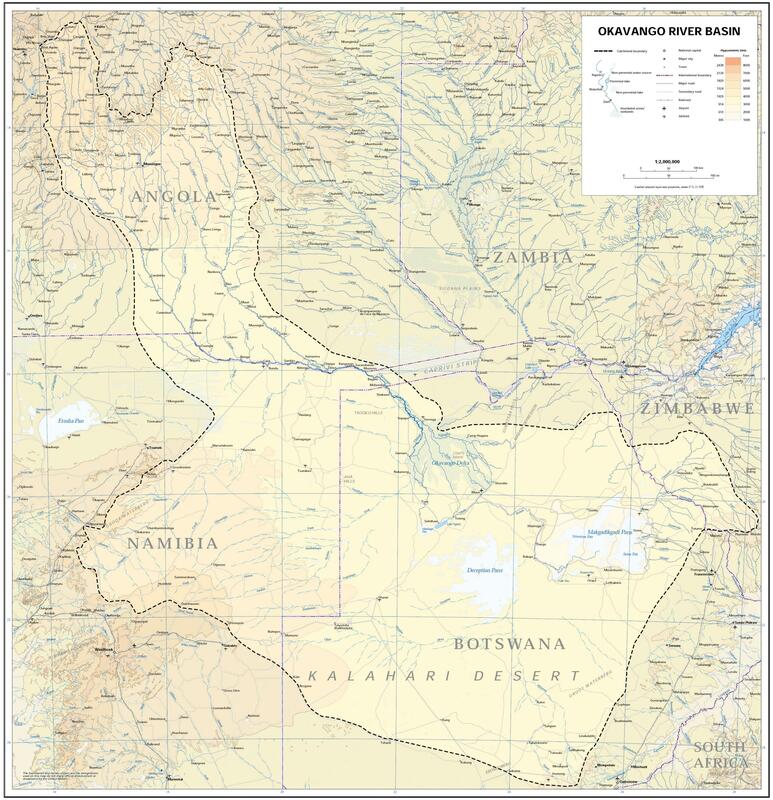 Discharging to an endorheic basin, the Okavango does not have an outlet to the sea. Instead, it empties into a swamp in the Kalahari Desert, known as the Okavango Delta or Okavango Alluvial Fan. In the rainy season there is an outflow to the Boteti River which in turn seasonally discharges to the Makgadikgadi Pans, which features an expansive area of rainy season wetland where tens of thousands of flamingos congregate each summer. Part of the river's flow fills Lake Ngami. Noted for its wildlife, the Okavango area contains Botswana's Moremi Game Reserve. Both Namibia and Botswana experience drought and as a result of this, there have been concerns about possible conflict over use of the river's water. 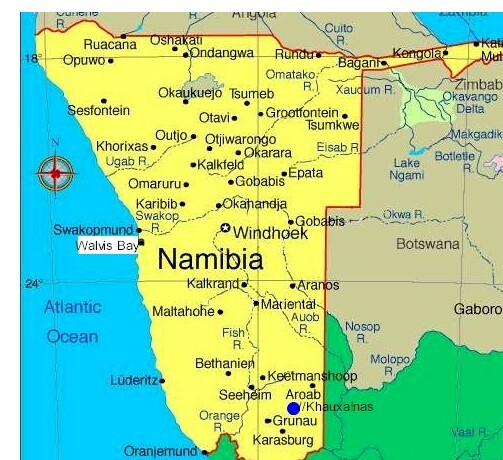 Namibia has built a water canal, measuring about 300 km long, and has proposed a project to build a 250 km pipeline to divert water from the river into Namibia to help relieve the drought. Botswana, however uses the Okavango Delta for both tourism income and a water source. The Department of Water Affairs in Botswana has submitted that 97% of the water in the river is lost through evaporation, so the country can not afford to lose any extra water. 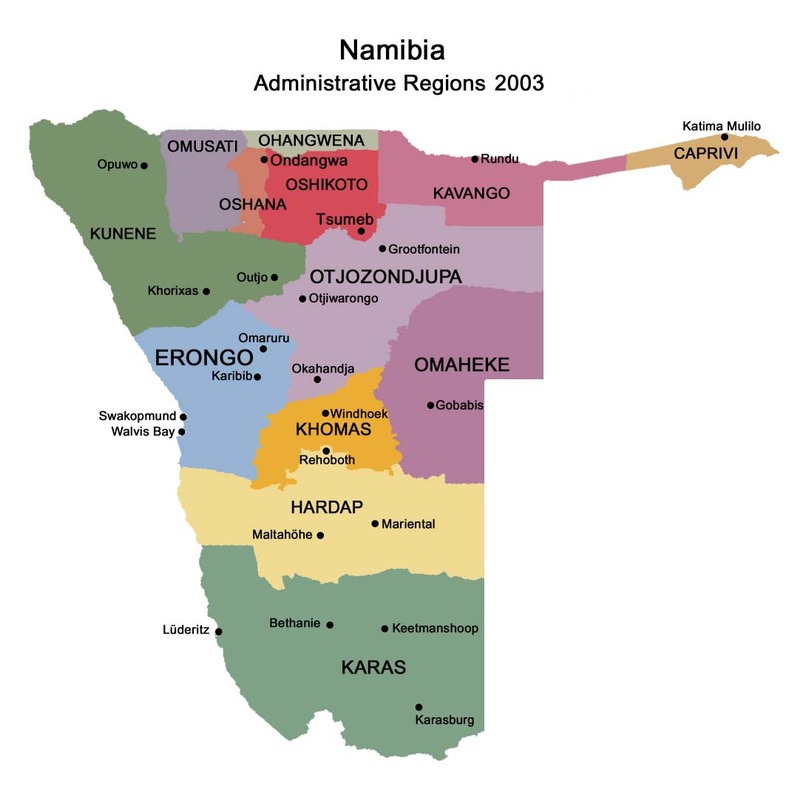 Namibia, however, has argued that it will only divert half a percent of the river's flow, and that it is entitled to any water that flows through its country. To deal with such issues, in 1994 Angola, Namibia and Botswana signed an agreement to form the Permanent Okavango River Basin Water Commission (OKACOM), to provide advice to the three countries about the best ways to share the Okavango River's resources. If one thinks of the channels in the delta as the arteries of this gigantic living organism, then its heart is 1 250 km away in the Angola highlands. This distant heart beats but once a year when Angola receives three times the amount of rainfall that Botswana does, sending a giant pulse of water coursing across Africa which eventually drains its lifeblood into the waiting arteries of the Okavango. This is referred to as the flood but unlike in the rest of the world where a flood has negative connotations, in the Okavango the flood is always welcome. Although the summer rains fall in Angola in January, they take a whole month to travel the first 1,000 km of the Okavango River. And then they take a further four months to filter through the plants and numerous channels of the final 250 km of the Delta. As a result the flood is at its biggest sometime between June and August, during Botswana’s dry winter months. And the delta swells to three times its permanent size, attracting animals from miles around and creating one of Africa’s greatest concentrations of wildlife. At its widest point in a big flood year the seasonal swamp stretches to 150 km across from east to west. And one of the factors that leads to the ever changing nature of the Delta is the flatness of the area. To give an idea of how flat it is, if one were to take a cross section of the Delta at its widest point, along this cross section one would find that the height variation from the mean over that 150 km is less than 2 m. So a little sand deposition can cause major changes.